— The 14th annual market runs Saturdays year-round at Ardovino’s Desert Crossing, One Ardovino Drive in Sunland Park, N.M. Hours are 7:30 a.m. to noon . Well behaved pets on leash welcome; brunch available for purchase. Information: (575) 589-0653, ext. 3. Local, Handmade Arts and Crafts and regional agricultural products. Call theater for more info. 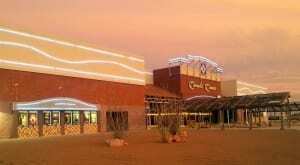 The Carmike 16 is a leading first run theatre featuring state of the art Digital projection and sound, 3D capable auditoriums with CaptiView open caption devices, and headphones for hearing impaired. We offer fresh popped popcorn, pretzels, Hot Dogs, Nachos, Candy and much more.